If you had lived in the past, there would have been nothing either you or anyone else could have done to permanently rid yourself of unwanted hair. Of course, they tried. People went to desperate lengths to get rid of hair permanently. In the late 1800’s Dr. Williams, an opthalmologist, tried dipping a needle in caustic sulfuric acid and then inserting it into the follicle. Dr. George Henry Fox of New York tried injecting carbolic acid and even twisting a barbed needle in the follicle. 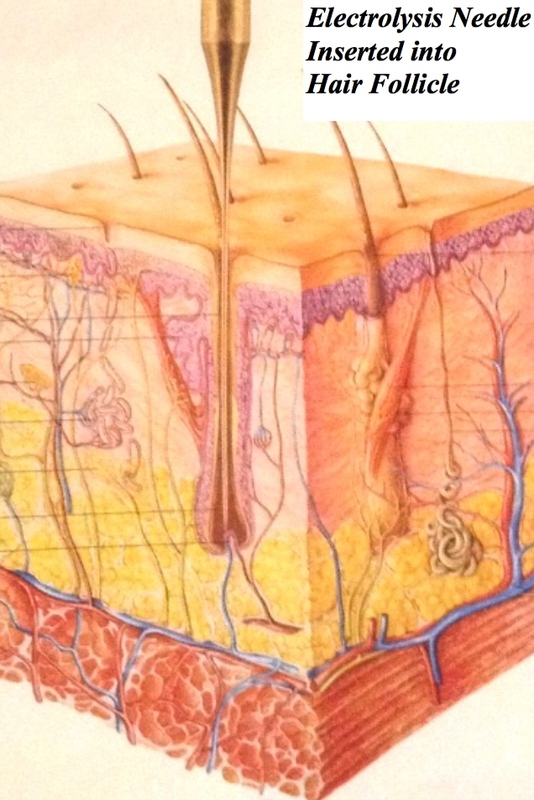 Dr. L. Duncan Buckley, a New York dermatologist, tried causing inflammation in the follicles. The hair almost always returned. In 1875 Dr. Charles Michel wrote in the St. Louis Clinical Record about this radical new method he had discovered that actually helped him to permanently remove the ingrown eyelashes from his patients. He inserted a very fine needle into the follicle in the eyelid alongside the hair. Then using a crude foot switch that was attached to a group of batteries, he applied galvanic current to the attached needle, turning the current on and off as he desired and eventually destroyed the follicle and papilla permanent hair removal was born. Electrolysis however, did not explode onto the scene with a great deal of fanfare. Although mentioned in the medical journals of the 1880’s, it was not until 1886 that the first book-length treatment of the subject was published. “The Use of Electricity in the Removal of Superfluous Hair” was written by Dr. George Hendry Fox, a New York dermatologist who used electrolysis in his practice. A book on hirsutism and electrolysis by Dr. P.S. Hayes of Chicago, “Electricity and the Methods of Its Employment in Removing Superfluous Hair and Other Facial Blemishes” was published in 1889. Finally, in the early 1900’s, more than twenty-five years after Dr. Michel first used electrolysis successfully for permanent hair removal, the procedure finally developed into a profession. Modern electrolysis equipment today is precise and rapid, utilizing sophisticated solid-state electronics to remove hair with minimum of patient discomfort and skin reaction. When done properly by a skilled electrologist, Electrolysis treatment causes little or no discomfort and no damage is caused to the surrounding cells, tissue or skin area. Today we are able to benefit from over 140 years of innovation and improvement in permanent hair removal. During menopause, I started growing dark facial hairs, like whiskers, on my chin. I feel much more feminine with these hairs removed. I highly recommend Shelly – she offers a valuable service for anyone in need of electrolysis treatment.